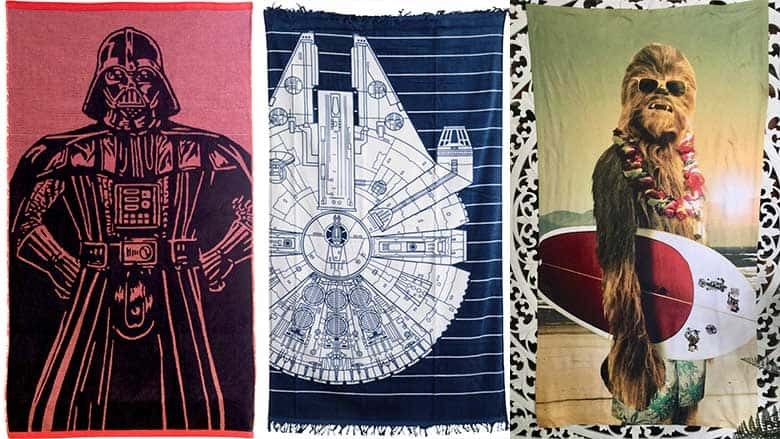 21 Best Star Wars Beach Towels in the Galaxy (2019) | Nerd Much? Nothing beats a beautiful summer day at the beach. Swimming, BBQing, building a replica of Emperor Palpatine’s chair out of sand — all great ways to waste the day away at the beach. And if you know anything about us here at Nerd Much?, you know that we LOVE to find ways to inject a bit of nerdiness in our lives wherever we can. 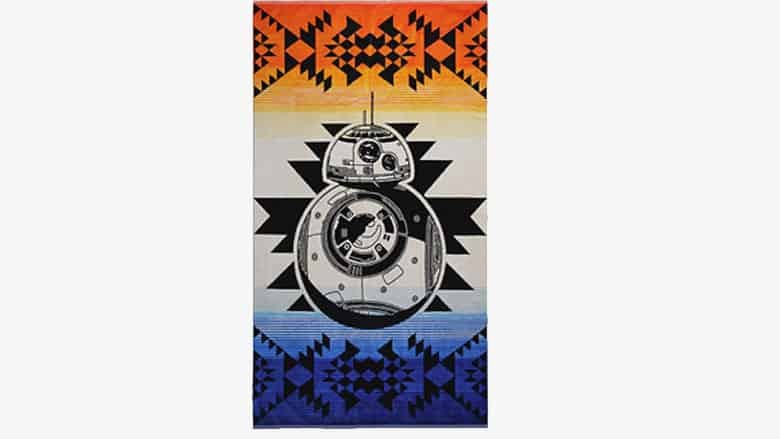 One of the best ways to do just that this summer is with nerdy beach towels, and if you’re a Star Wars fan, there are literally hundreds of great Star Wars beach towels available right now. 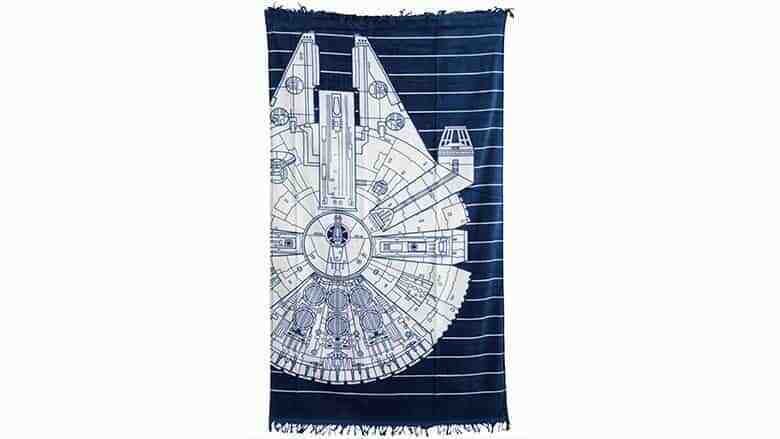 Luckily, we’re not going to make you cipher through various other websites to find the right Star Wars beach towel for you; we’ve got you covered. 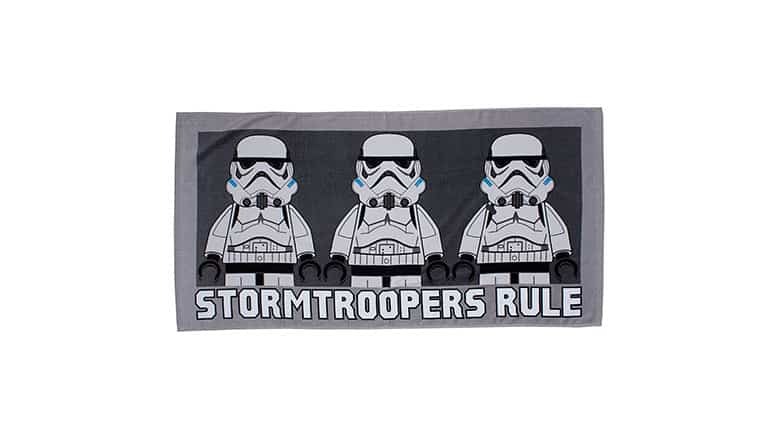 Whether you’re looking to rep your own favorite Star Wars character or you’re shopping for a great summer gift for a Star Wars fan, the list below contains a variety of super cool Star Wars towels any fan will love. Luke Skywalker with a lightsaber? Check. 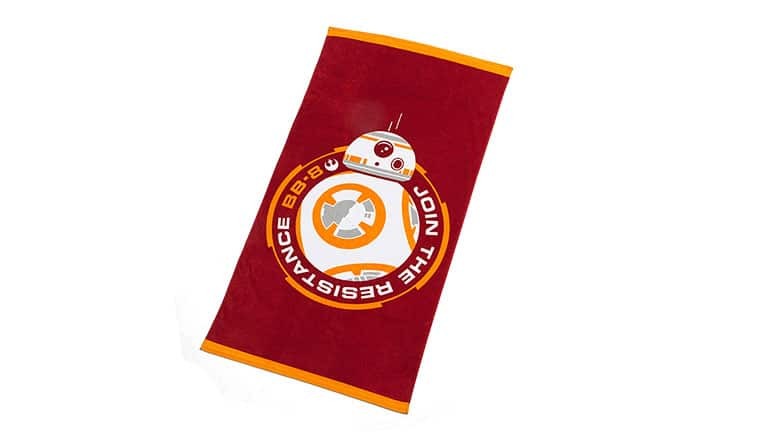 BB-8-themed towels? Check. Darth Vader beach towels? Check. 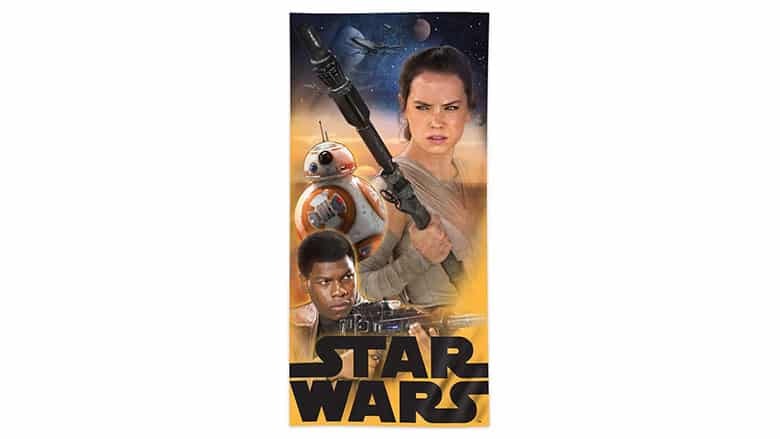 Celebrate what started it all with this Star Wars beach towel themed around the A New Hope movie poster. If you’re a fan of the classic trilogy, this towel is for your beach adventures. With this towel, you get all of the original trilogy’s characters, including Luke, Leia, Han Solo, Chewbacca, R2-D2, Obi-Wan, Darth Vader, and C3P0. 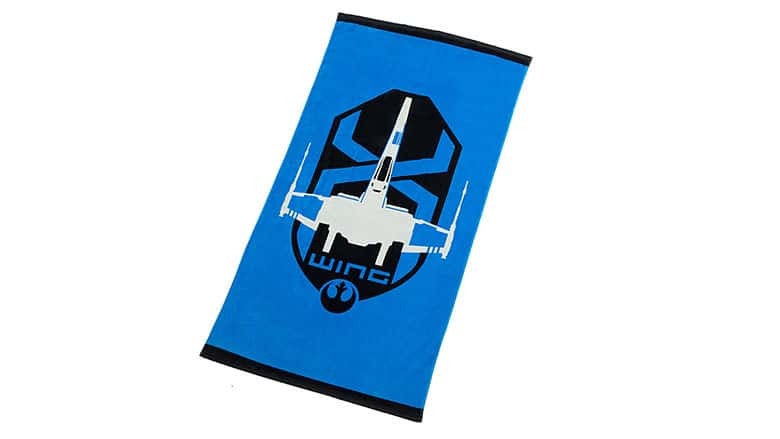 ThinkGeek has a couple of great Star Wars beach towels available this year, including this blue X-Wing towel. It’s 33″ wide and 66″ long, making it great for adults. It has a beautiful blue background color with a black logo and gray X-Wing. The blue is nice and vibrant, so it’s easily spotted from far away. ThinkGeek’s other cool Star Wars towel is this BB-8 one above, with a message that reads “join the resistance”. 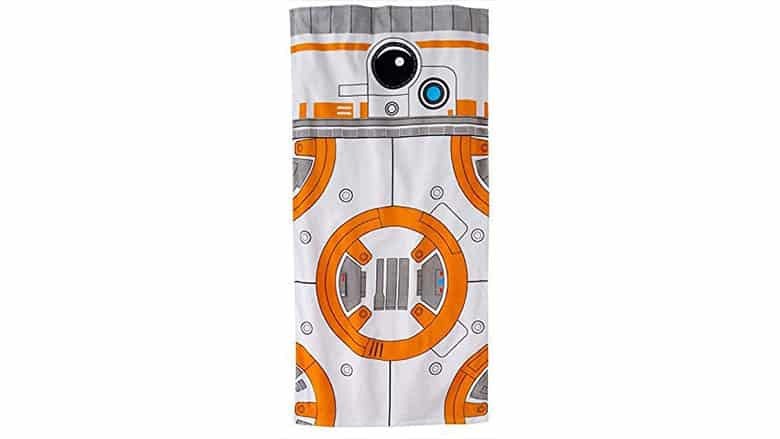 The towel is predominately red with BB-8’s orange color on it as well, and like the Star Wars beach towel above, it’s vibrant and easy to spot on the beach. 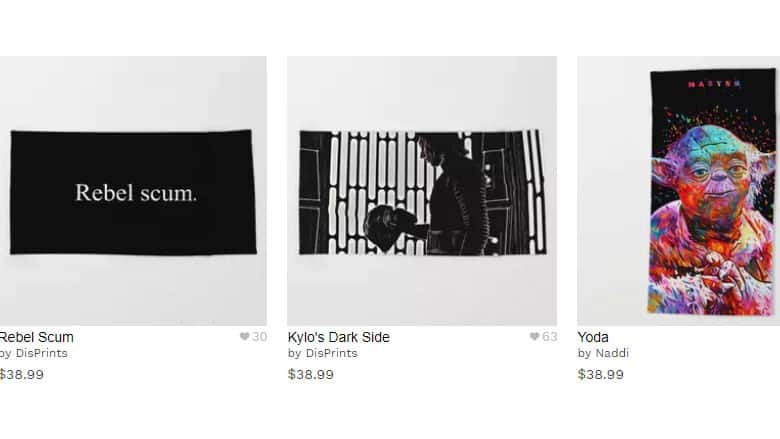 Believe it or not, this is actual, licensed Star Wars merch, despite it having a sort of artsy aesthetic to it. It’s a stylized stormtrooper helmet set with a galactic backdrop. 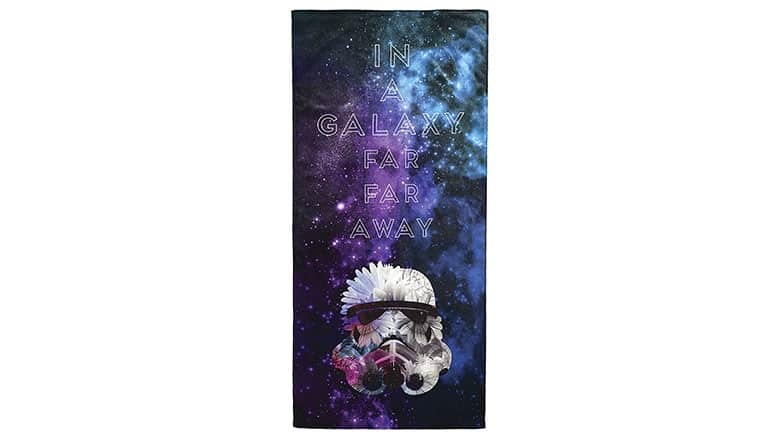 It’s cool and unique-looking, and I can almost guarantee you that no one else on the beach would have this Star Wars towel. 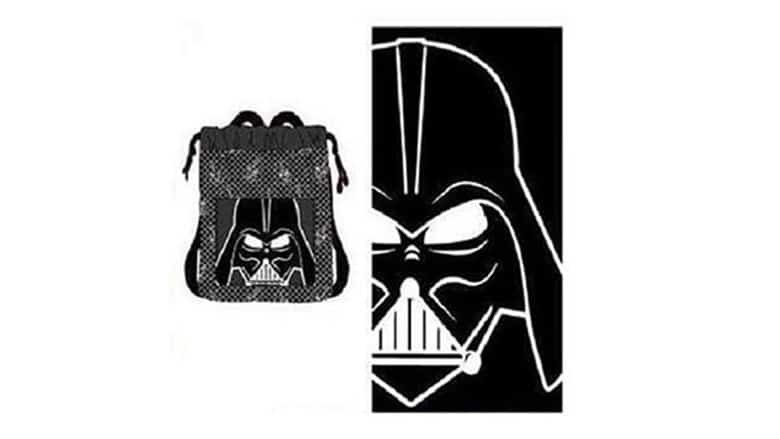 A simple, black and white Darth Vader beach towel that comes with a carrying bag. It looks like a cartoonized version of Darth Vader. Yes, it’s a little bit too expensive for my own personal taste, but it’s also a MEGA size towel, coming in at 40″ x 70″. So, it’s like two towels in one, so not too bad when you think about it like that. Sure, $55 for a beach towel is a hard pill to swallow, but it is a vibrant and beautiful-looking beach towel. 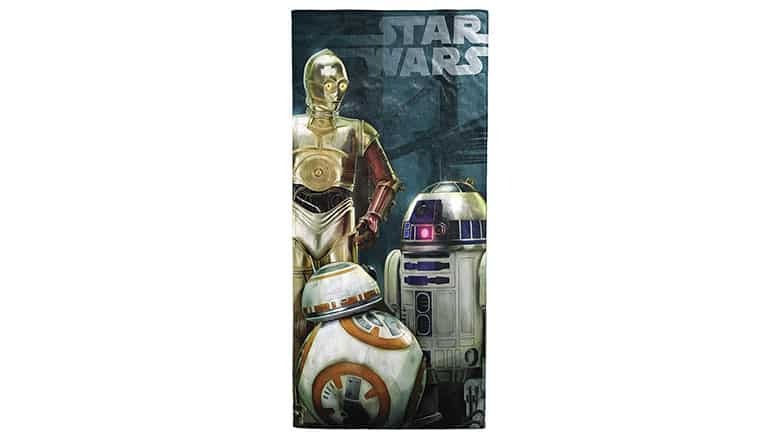 This Star Wars beach towel is themed after the droids in Episode 7, C3PO, BB-8, and R2-D2, complete with the Star Wars logo at the top. It’s official Disney merchandise as well, so you know you’re getting quality. This towel measures 58″ x 28″. 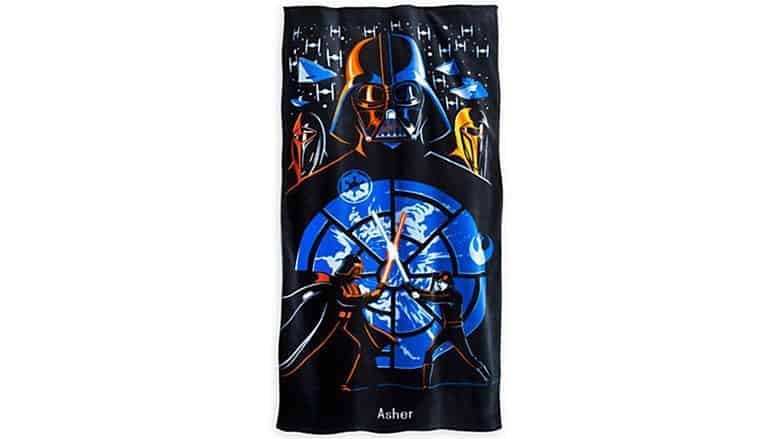 Darth Vader beach towels seem to be the most popular among Star Wars fans, and if you’re also looking for a Vader towel, look no further. I’ll note that the image above is personalized and says “Asher” at the bottom, however, the one you’ll receive is not personalized and the “Asher” won’t be there. This classic-looking Star Wars towel is my personal favorite, as it’s one of the best-looking towels available. It features C3PO, a stormtrooper, Yoda, R2-D2, Chewbacca, and Darth Vader. At the bottom, you’ll find the classic Star Wars logo in all-white. It has a sort of vintage Star Wars look to it that fans of the original trilogy will especially appreciate. 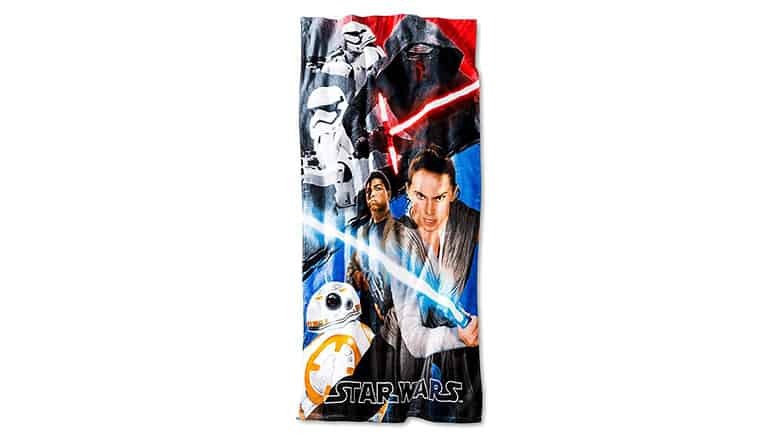 If you’re looking for a cheap Star Wars towel, this one, based on The Force Awakens, is just $9.99. You can’t beat that price! 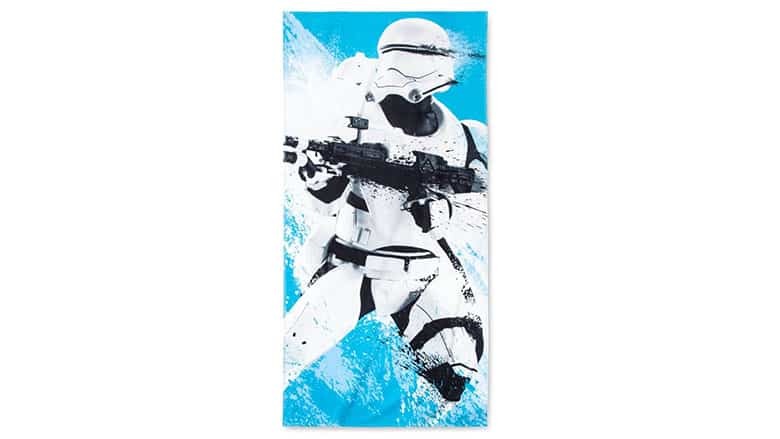 This Storm trooper beach towel is also just $9.99, and it looks pretty great. A nice bright blue background with a stormtrooper likely missing whatever he’s shooting at. 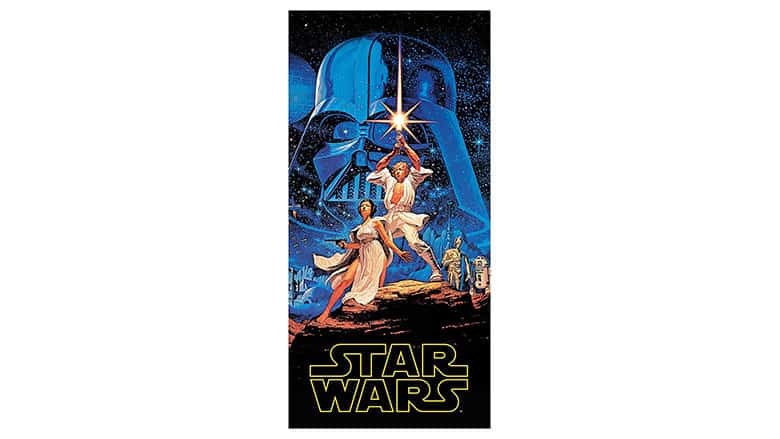 Another retro Star Wars beach towel with Luke holding up his lightsaber, based on the original A New Hope movie poster. 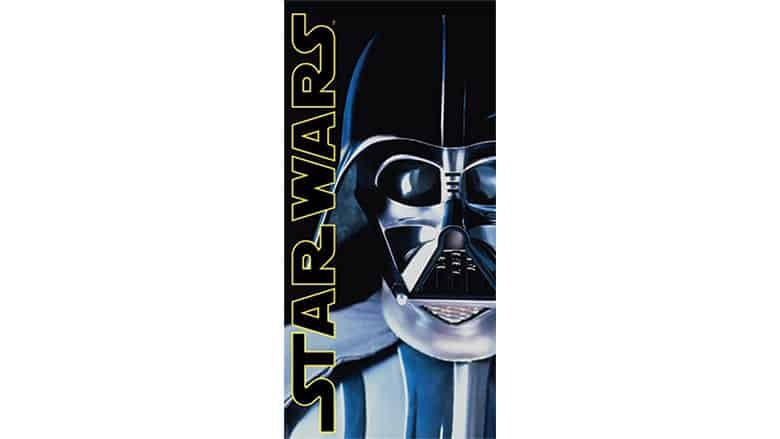 This Sith Darth Vader beach towel has a big Vader face on it with the yellow and black Star Wars logo. This is a high-quality Star Wars beach towel designed around BB-8’s iconic look, with the bright orange, gray, and white design. Rey, Finn, and BB-8 on the towel for all of those who favor the new school of Star Wars characters. 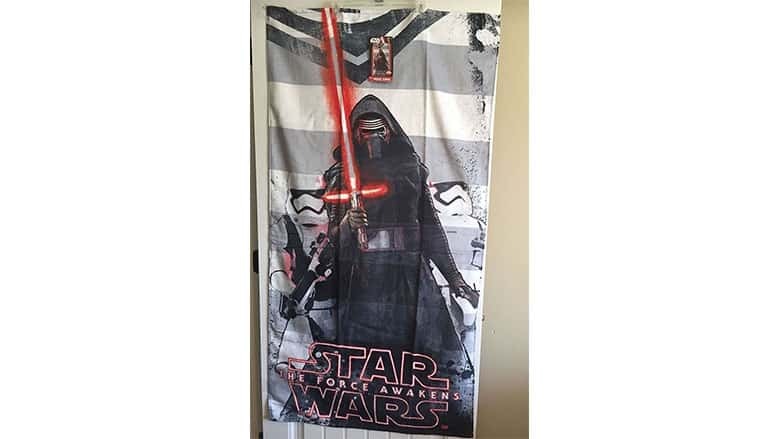 This is the only Kylo Ren beach towel we could find. Luckily, it’s pretty awesome. 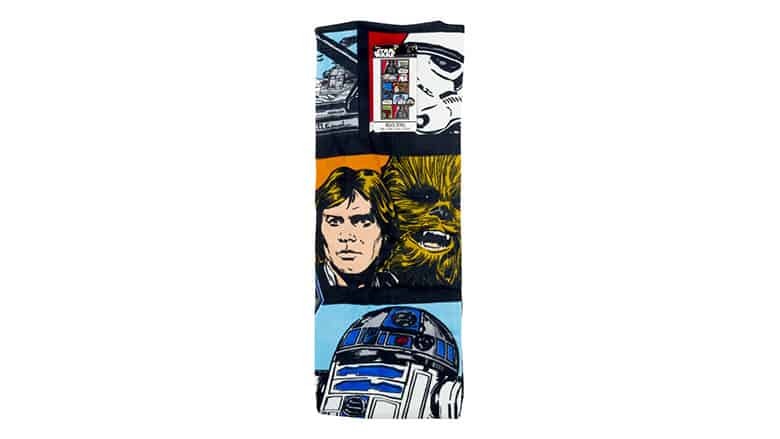 There are actually quite a few great Star Wars beach towels at Walmart, and this one is the best-looking of the bunch. It’s dark blue with white stripes, and a large image of the Millennium Falcon. It also has fringe on the top and bottom. 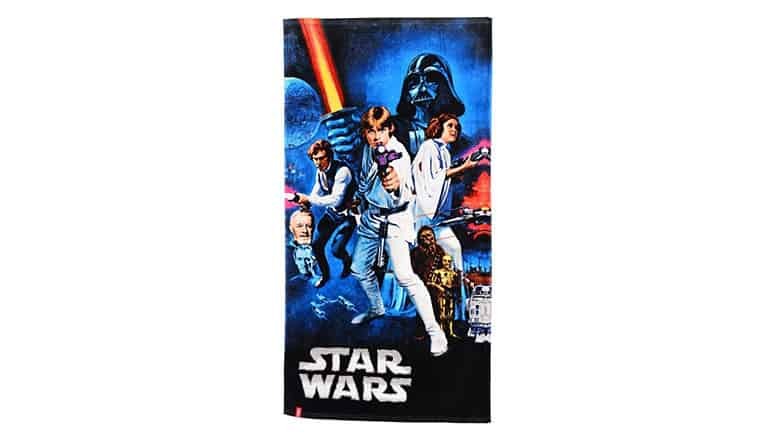 Another great Star Wars beach towel at Walmart is this cartoonized, vintage-looking one that’s available for just $16.50. It features a blocky look with various characters with a colorful presentation. 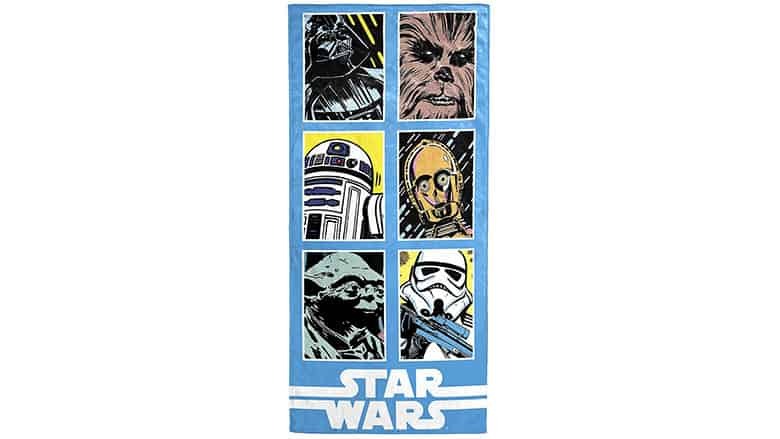 Walmart has a lot of great Star Wars Stuff as well, including a couple beach towels. 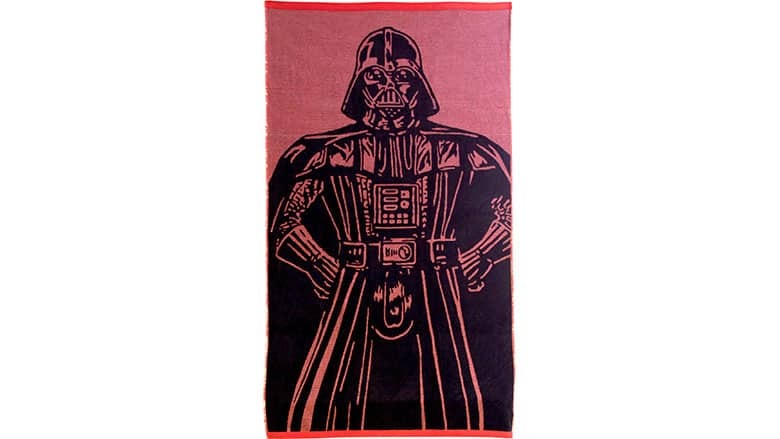 This one is a red towel with a mega-size image of Darth Vader on it. 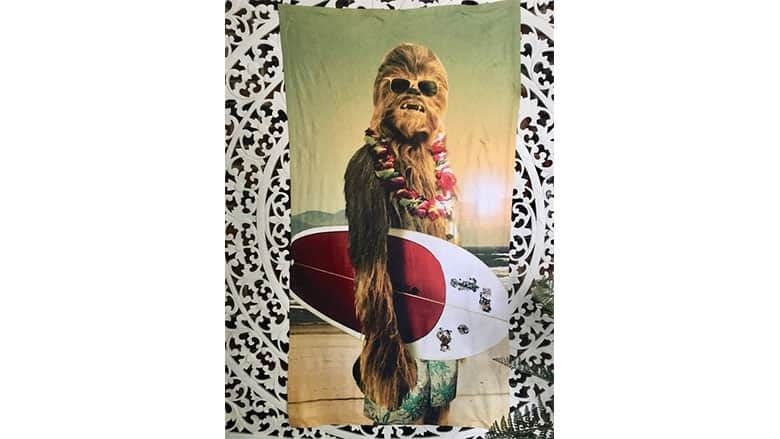 If you want to make people laugh this summer at the beach, get this hilarious Chewbacca beach towel from Etsy, which shows Chewy with a surfboard.